The year is 1939, and at the very beginning, Great Britain declares war on Germany. 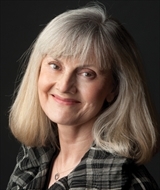 When Maisie Dobbs, a psychologist and investigator, arrives home, she finds Dr. Francesca Thomas there. Dr. Thomas works with the Secret Service. She wants Maisie's help in finding the murderer of a Belgian refugee and fears there may be more deaths. This is the thirteenth book in this series and the third one I have read. Because this one is so far along, it's the first one where I have felt a little more confused about what's happened in Maisie's life. That didn't keep me from enjoying this book, though. Maisie has two assistants, Billy and Sandra, who help her, and they add a lot to the story. I like that we get a glimpse into their personal lives. Maisie also has some personal issues she's dealing with and she juggles those along with solving the case. There were developments that complicated things and she wasn't sure if certain people were being truthful with her. This is a series that I highly recommend reading! Just be warned that if you start with this book, there's a lot of back story you will be missing out on. 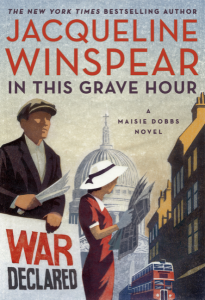 I have enjoyed getting to know Maisie Dobbs and love how each of these stories unfold. It's fantastic historical fiction which is well-researched and interesting to read! I just LOVE all the historical detail in this series - it is one of my favorite things about the series.